More than £14 million is being invested in the redevelopment of Newcastle Airport's departure lounge. The airport's outlined its plans to reshape the airside experience for passengers, which will see the entire departure lounge transform over the next year. As well as offering new shops, restaurants, cafes and bar areas, the departure lounge layout will be changed in order to provide a more straightforward journey for customers. The first phase of the development is now complete, with The Beer House, Flying Hippo, and Aspire Lounge open for passengers from April 2014. The next major phase will begin in autumn 2014, with most work expected to be completed by May 2015. Highlights still to come include a new walk-through World Duty Free store and exciting new food and beverage outlets, soon to be announced. Customers will benefit from an improved sense of flow as they pass through the curved walkways, seating areas and streamlined shop fronts of the new departure lounge. "The departure lounge development will completely transform the airside experience for our customers. Alongside our business partners, we?re investing a total of £14 million to ensure customers have the best possible journey through the airport. Our passengers' holidays start here at the airport so it?s very important to us that we give them the best possible experience. We also cater for many business travellers and we are always striving to meet their specific requirements. We are confident that the new layout will be more intuitive and will help passengers to make a more informed choice on where they shop, eat, drink or simply relax before their flight. The departure lounge will have a modern and vibrant shopping centre feel - something that we know from feedback is what our customers want. 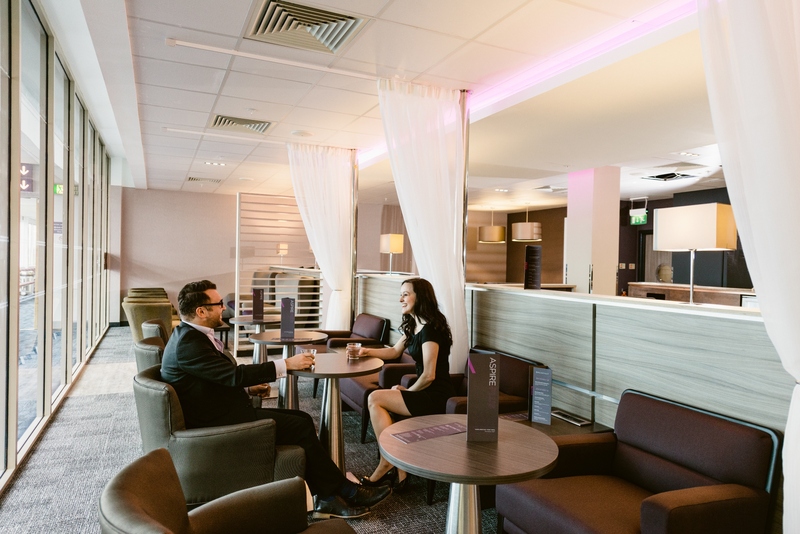 We are meeting the needs of the modern traveller with excellent facilities and there will be plenty on offer for families, couples, groups and business travellers alike." The £14 million capital investment spend is from both Newcastle International Airport and business partners.